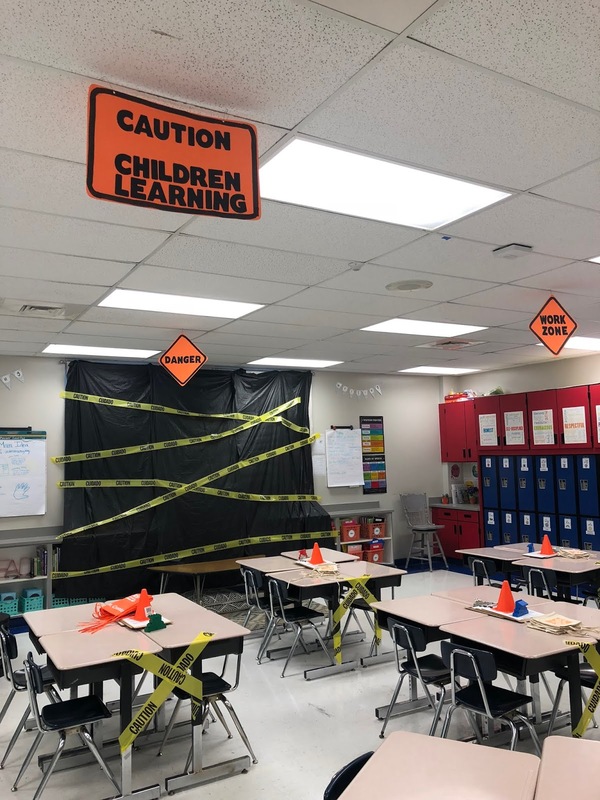 The first classroom transformation of the year is officially in the books! It was successful and lots of fun for not only the kids, but for me! We've been learning about main idea and writing summaries. This is by far one of the hardest standards in 5th grade because they have to be able to identify multiple main ideas, when most of the students struggle just identifying one. So when it gets tough, find a way to make it highly engaging! 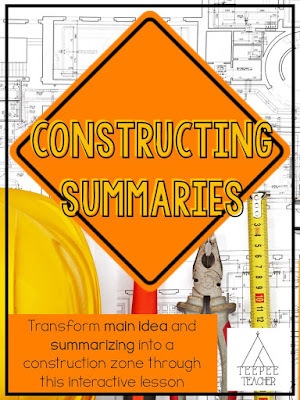 I had this idea to make a construction theme because I teach finding main idea and writing summaries through the house graphic organizer. It all just flowed from there! The best thing about this transformation is that everything can pretty much be donated by Home Depot. 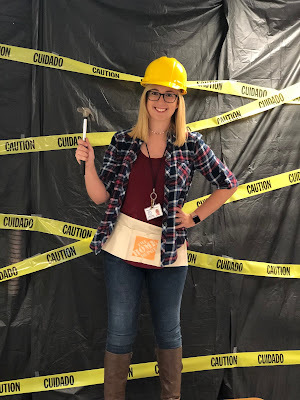 They will donate aprons to your classroom, and my store also offered to give caution tape, too! All I decided to buy was black table clothes (dollar store), orange cones (dollar store-toys section), orange poster paper (dollar store), and hard hard (Home Depot). The total for everything was less than $15. Most of the things are completely optional, but I wanted to let you know if you wanted your room to look like mine, that's all I paid. This doesn't take much time to set up at all! I put the desks into groups of 4. 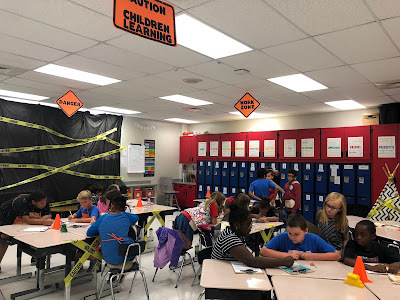 This year I had 2 students left out so I had them join groups with no problem. I cut up the job cards (explained later) and put 1 in each apron. I fold the aprons up so when students grab them to put them on, they have a random job and there's no arguing. 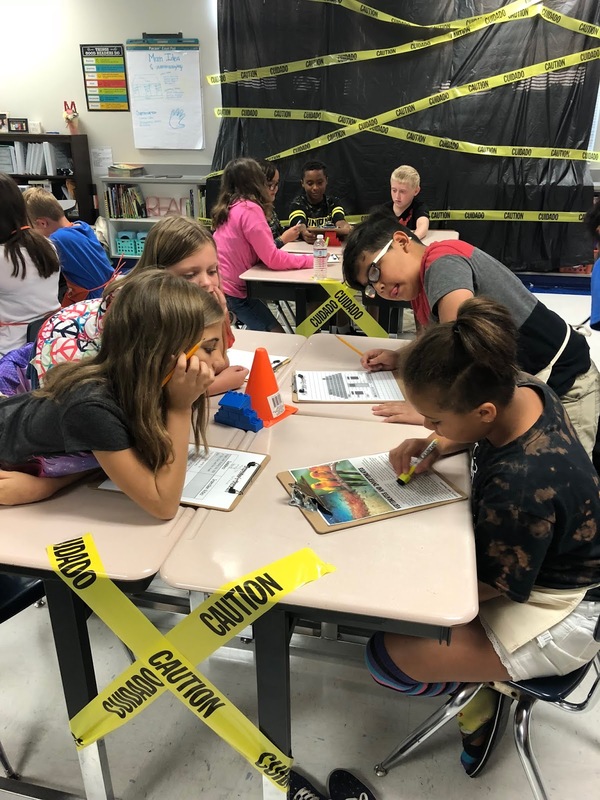 I then print out all of my materials and put them on clipboards so each person had the materials they needed for their job. This isn't required but it just helps keep everything organized throughout the day. Then, I just hang my decorations that I want to use and done! Each student is in a group of 4 and they all have a job. 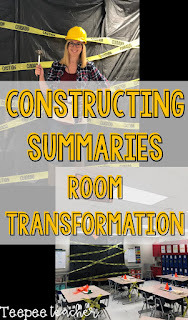 The jobs allows students to have an important role in making sure the summary is constructed correctly. This also makes sure everyone is involved and there are no slackers in the group. When they put on their apron, the jobs are inside already (see "The Set Up" for more info). They grab the clipboard that goes with their job and begin getting to work. Next, they all read the nonfiction text and identify the main idea and details. 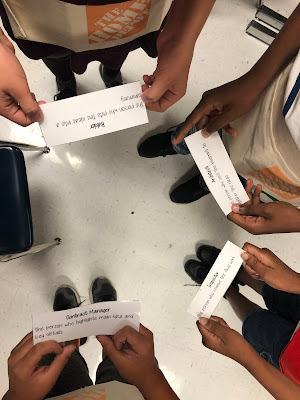 It would depend on the grade level on what type of text you use, but I have always used some great ones from Terri Thornton. 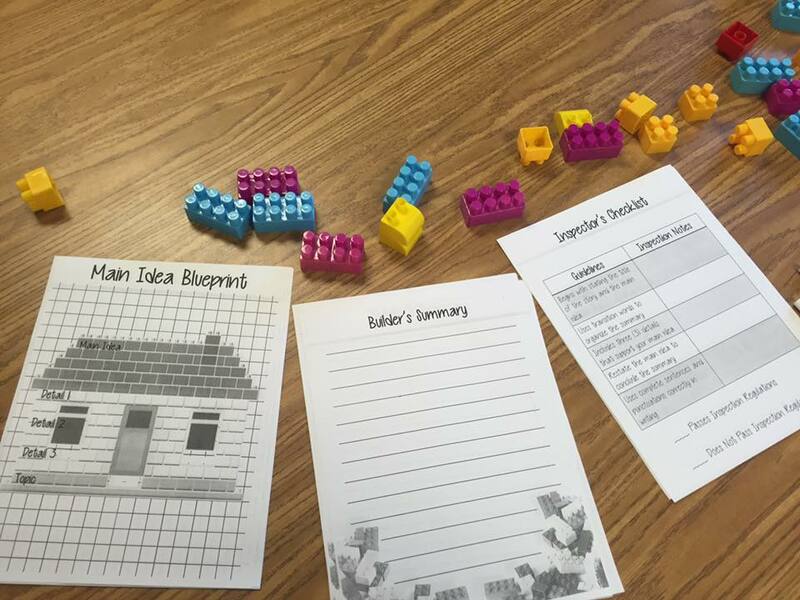 Then, the students put everything together on a graphic organizer. 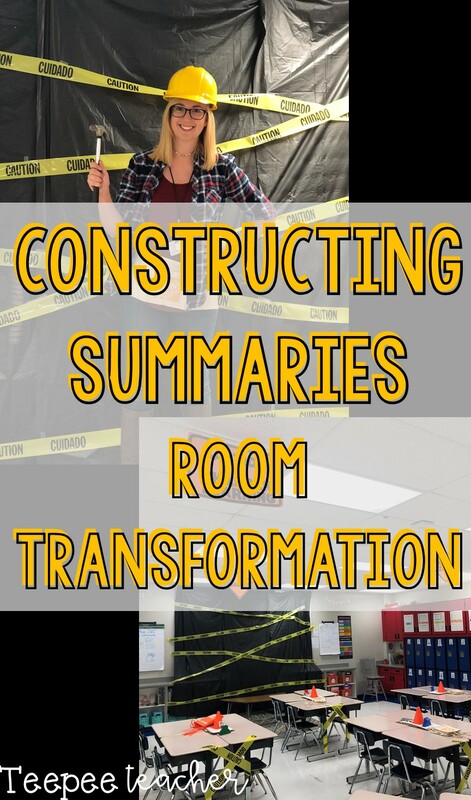 This allows them to be able to see what needs to be included in the summary which is the final product. This whole activity takes about an hour once it's all done. It usually involves a lot of conversation about what are the main ideas, but it gets them learning from each other, which is why I allow it to take an hour. 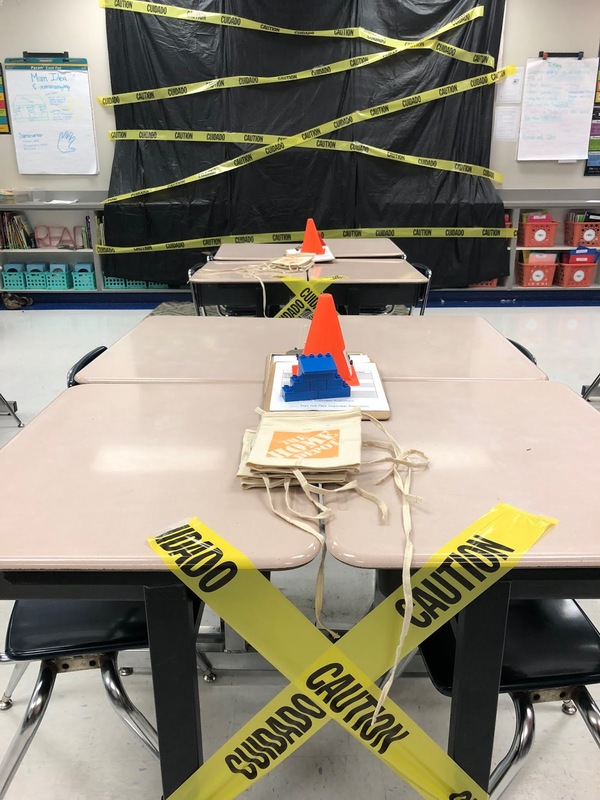 Anytime we do anything with main idea or summaries now, all I have to do is remind them of our construction zone and they now have something to think refer back to. 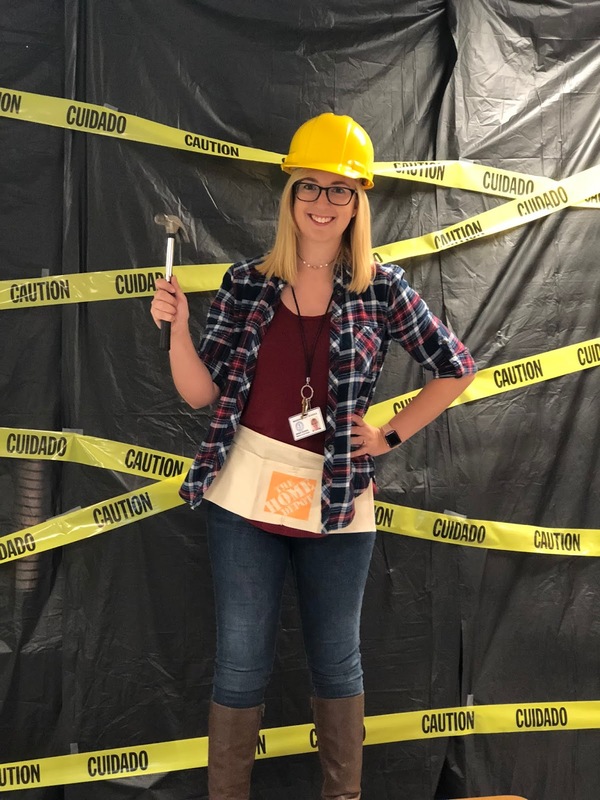 If you're interested in doing a construction room transformation, I have all of the print outs and how-to guide on TeachersPayTeachers available!